You should gather some knowledge and information about the product you are intended to buy. 2. Wi-Fi connectivity to smartphones or tablet via NFC. 4. Compact and interchangeable lens camera system. 5. LCD touchscreen with 180-degree tilting facility. 6. Portable and compact. 7. Full HD shooting. 8. Pop-up Flash. 9. Shoot in low light with higher ISO facility. 10. Recognize current environment with superior auto mode. 1. No external microphone jack. 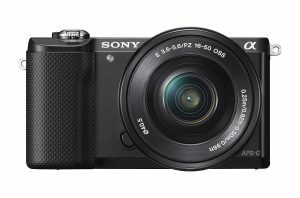 Sony a5000 is an unbelievable camera for its high resolution. It comes with 20.1 MP Exmor HD APS-C sensor along with Sony Exmor APS HD CMOS technology which makes it more precise to take high-resolution images with low-light sensitivity. You will find a detailed and incredible video and image with this amazing camera. One of amazing feature of this product is its 18o degree tilting facility on the LCD touchscreen. So, now you can work with this camera at a convenient angle putting it in a convenient place. It offers you the best working experience with less effort. Convenient zoom lever on its body permits it to operate by one hand with no effort. This is an incredible Sony vlogging camera with flip screen. In these present days, you can’t think of a smart device without the sharing facility. Taking this consideration in mind Sony a5000 offer you to regulate your camera with your smartphone and Play-memories Camera Apps. You can directly transfer your images and videos to your smart device with no time. You don’t have to do any complicated work to share any of your camera files. Capture videos in full HD 1920 x 1080 resolution in your choice of cinematic 24p FPS or standard 60i. So, you are now free to shoot your videos at the desired quality and you won’t be dissatisfied with its performance. 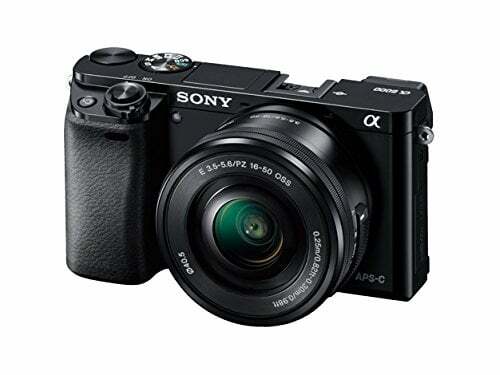 Keeping the importance of portability in consideration, the Sony a5000 comprises collapsible 16-50 mm power zoom. It makes it ideal for traveling when it is desired to have a kit of lightweight and compact. It is very easy to carry it with you for its portable design. When there is a lack of light, it gets a bit difficult to capture the moment with the other traditional camera available in the market. But this a5000 is a product of high ISO combined with pop-up flash which enables it to show its performance even in low light. So, don’t be worried about lighting situation when you have the Sony a5000 for vlogging. Now you can take the advantages of its lightweight on-the-go body. This a5000 is quite compatible with Sony’s E-Mount lens system. This facility reduces your complexity of working and provide you better experience in your working. This amazing kit contains an NP-FW50 Lithium-ion rechargeable battery which is excellent for longer life. AC-UB10 USB charger, mini-B USB cable along with shoulder strap. If you want to gain a unique experience in vlogging, then you should consider Sony a5000 for vlogging as a perfect kit. You will find this as one of the best cameras which is available in present market. This kit will surely fulfill your needs by its remarkable features and excellent performance.